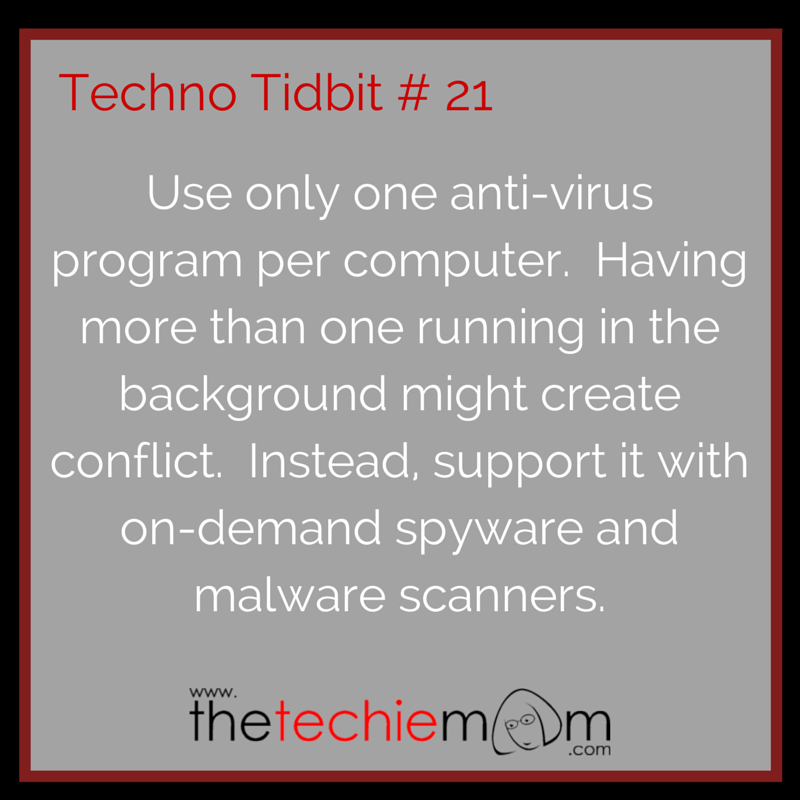 Techno Tidbit #21: You might think that it will be better to have more than one anti-virus program instead in your computer, it’s not. Anti-virus programs run and scan for viruses in the background, having 2 or more at the time same will create conflict in terms of scanning and cleaning/quarantining the viruses. It can also slow down and sap your computer’s power, imagine having 2 programs simultaneously checking for viruses. Instead of installing 2 anti-virus programs, supplement it with on-demand malware and spyware programs, schedule scans effectively and log it off after scanning. Examples of on-demand malware and spyware programs are: Malwarebytes, Spybot Search and Destroy and Super Anti-Spyware.